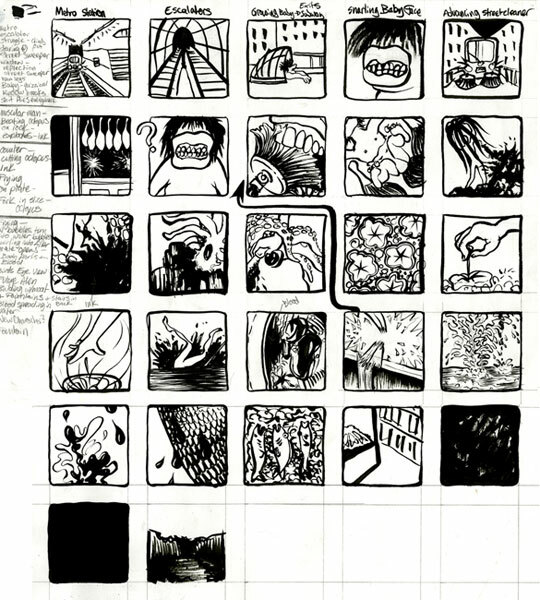 Antzokia is a 20-page comic with two sections: one color, one black and white. 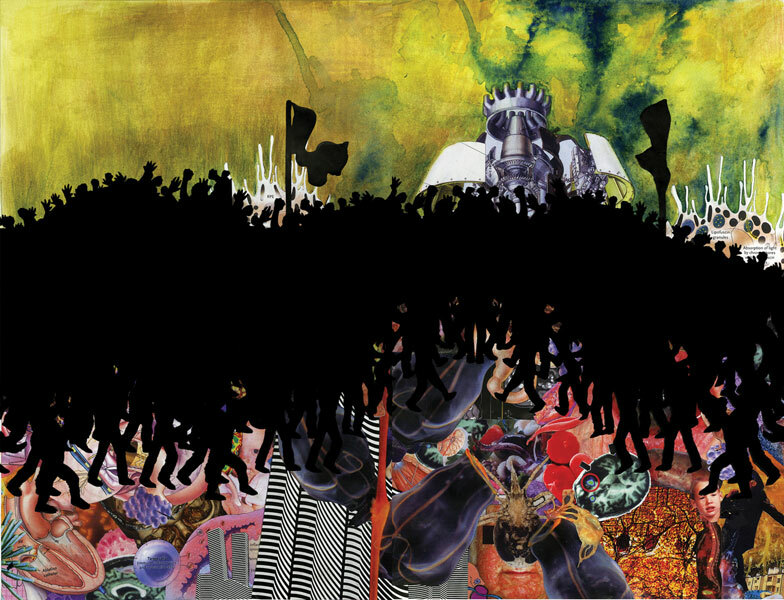 Each side has its own cover and the narratives collide in the center of the book. It uses an invented language of symbols drawn from my experiences studying in Bilbao, Spain, and from being an outsider within the nationalist culture of the region. The creation and production of this comic was funded with a Small Undergraduate Research Grant from Carnegie Mellon.